Event of ABI Auto-Bake Industries Ltd.
19 Sep 2018, 9:30 a.m. - 6:00 p.m. This video showcases various Rack Loading and unloading systems available from ABI. The systems can be used for the handling of a wide variety of pans and boards. 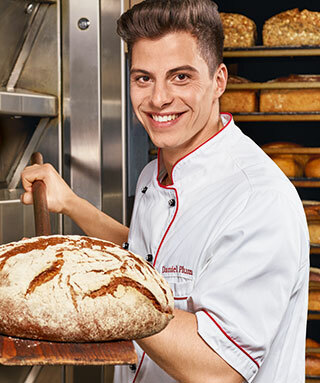 ABI LTD's versatile and functional designs are capable of supporting any size Bakery operations needs. Video of Guan Yu Machinery Factory Co., Ltd.
ADDIPOS develops innovative point-of-sale software applications in-house for the Food & Beverage industry, the upscaled Hotel industry and Bakery business. It combines its Software Application with top notch POS-Equipment and an array of proven third party software solutions and interfaces with ERP-, CRM-, Accounting-, eCommerce- and Multi- Channel- capabilities, in order to delivering a reliable, integrated, and user-friendly POS-system to managers and practitioners.